Patients with temporomandibular disorders (TMD) experience a lot of pain. Simple things like chewing and talking are suddenly much more difficult and ultimately TMD can affect a patient’s quality of life. Many have likely not heard of TMD, and without an explanation, their jaw pain can be confusing and frustrating. That’s where Toothflix comes in: This TMD video explains the causes of TMD and how to manage it. Because TMD can cause extensive pain and discomfort in your patients, it’s important for them to learn how symptoms can be managed. From bite guards and medications to at-home care, patients will learn how to treat their TMD, as well as the primary causes for this syndrome. The video also covers your role in this process and why it’s especially important for TMD patients to maintain healthy, strong teeth. 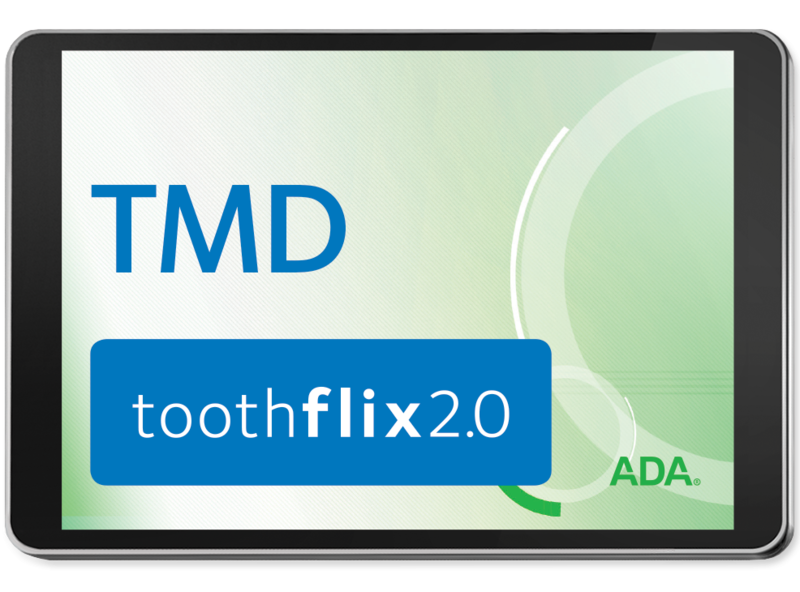 As their trusted treatment partner, order your TMD Causes – Toothflix® 2.0 Streaming Video today for a helpful resource to reassure your patients!